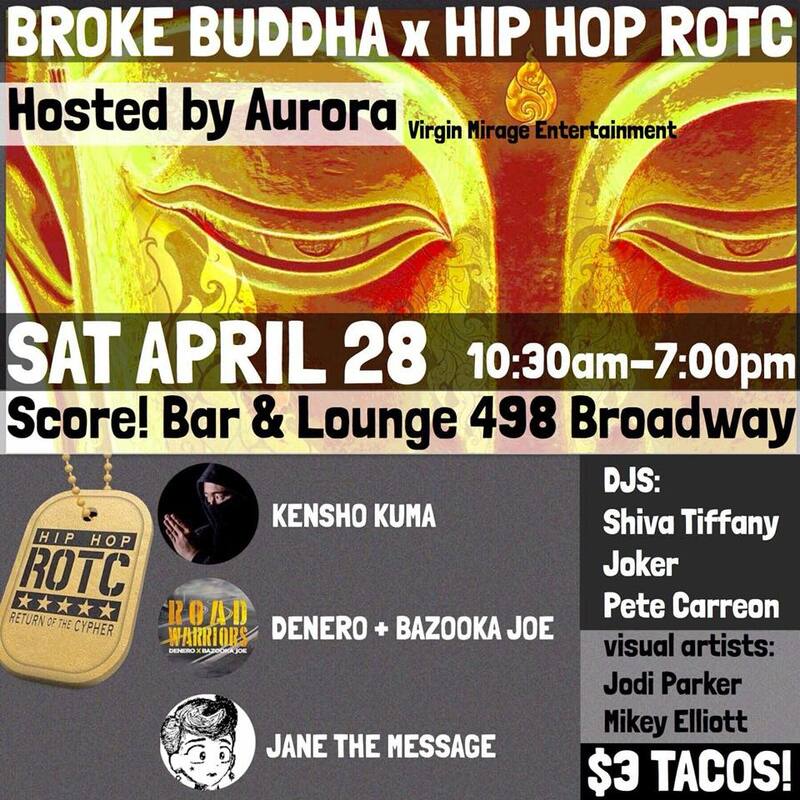 My Return of the Cypher squadron was invited to perform at the Broke Buddha Day Party 10:30 AM- 7:00PM on 04/28/18! Please come down to Score! Bar and Lounge in San Francisco!! This event celebrates a diverse array of soundscapes, playing everything from Hip Hop, Tribal Beats, Latin House, and all sorts of other eclectic tunes. Broke Buddha also features 3-D light reactive tapestries, live painters, and local designers… and TACOS!! Myself, Jane the Message, and the Road Warriors, will be performing sets throughout the day, and of course cyphers are open to our R.O.T.C. troopers. Shout outs to our comrade MC Awokeone for inviting R.O.T.C and to Jane the Message for producing the flier last minute! !